In our previous blog we gave you tips on buying a new narrowboat however buying a second-hand narrowboat may be your preferred choice. 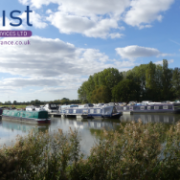 This is a much cheaper option than buying a new narrowboat and is popular with people looking for a renovation project. Buying from a brokerage can give you more security than buying privately and it’s advisable to register with several brokers to give you a wider view of the current market. If you buy a narrowboat online, make sure that you have given it a thorough inspection before you part with any money. However you buy your second-hand narrowboat, here’s a brief checklist of the key things that you should look at. The narrowboat’s general appearance will give you a good idea of how well it’s been looked after. As well as the paintwork and varnishing on the interior and exterior, check that appliances and equipment are in good working order. 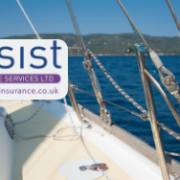 Also check the presence and condition of all ropes, mooring pins and locks. Narrowboat hulls are made of steel, so check that the hull meets the required specification in terms of thickness. It should also be ‘blackened’ (pressur-washed and painted with two coats of bitumen, whilst in a dry dock) every two to three years to prevent rusting. Find out when this was last completed. Check that the narrowboat’s engine and gearbox are in good working order and that there are no cracks or leaks. Three leisure batteries coupled with one starter battery is standard in narrowboats. Examine the set-up to see if it has a battery management system as this will improve efficiency. Also, check whether the boat has an inverter to enable you to run electrical equipment. Having the narrowboat surveyed by a qualified marine surveyor can be a very worthwhile investment. 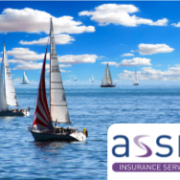 They will inspect the narrowboat and advise you of any issues with the hull and the boat’s internal systems. 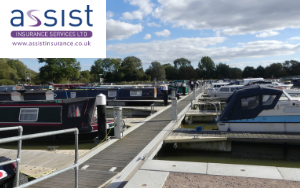 You need to think about how you will be using your narrowboat, where you want to cruise and what size boat you would prefer and this information is outlined on buying a narrowboat. 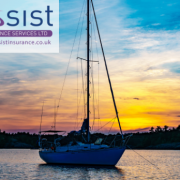 Before you take ownership of your boat, you’ll need a good narrowboat insurance policy in place. 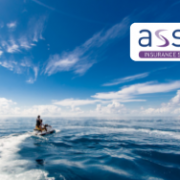 Assist Insurance Services Ltd are specialists in narrowboat insurance and provide flexible policy options, tailored to your individual needs. 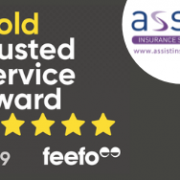 Call the Assist Insurance customer service team on 01604 946 779 who will be able to guide you through the process to ensure that you have the right cover for your narrowboat or for more information, go to Narrowboat Insurance. For similar tips or for general narrowboat information please follow us on Facebook, Twitter and LinkedIn or have a look through our website for more tips.